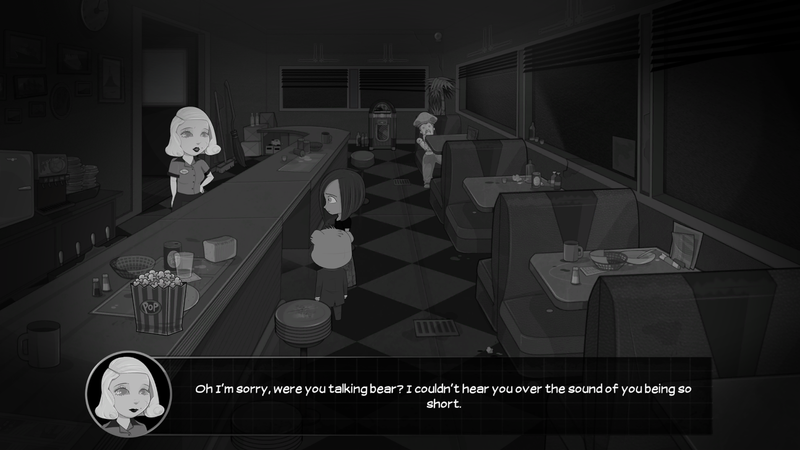 Bear With Me is a point and click adventure game on PC. The game is an episodic noir crime/mystery thriller with horror elements. Episode 1 was released in August last year while the latest episode came out in February. The game follows where Episode 1 left off. 10 year old girl Amber Ashworth and detective Ted E. Bear (actual bear) are still looking for Amber’s brother Flint who has gone missing. They have also left the confines of Amber’s house and gone out in the big Paper City. This already makes Episode 2 more interesting than the last because of instead of exploring a boring old house, players get to see a variety of locations such as a casino, a mansion, a restaurant, a crime scene and much more. The characters seem to be based on toys that Amber owns, and the whole game is most likely her imagination. Amber’s dialogue seems too mature for a girl of her age, although she is playing with toys. Ted has reluctantly decided to do detective work for Amber, and together they deliver clever, sarcastic and funny lines that sometime break the fourth wall and reference popular culture. Nearly every character has a backstory and a personality trait, without which the game’s story would be a borefest. The developers have obviously put their hearts and souls into the game’s universe. The sound design is excellent, especially the voice acting which us does a great job of livening up the characters and the game world. Fans of the noir visual aesthetic will get a kick out of this game because it represents noir very well. 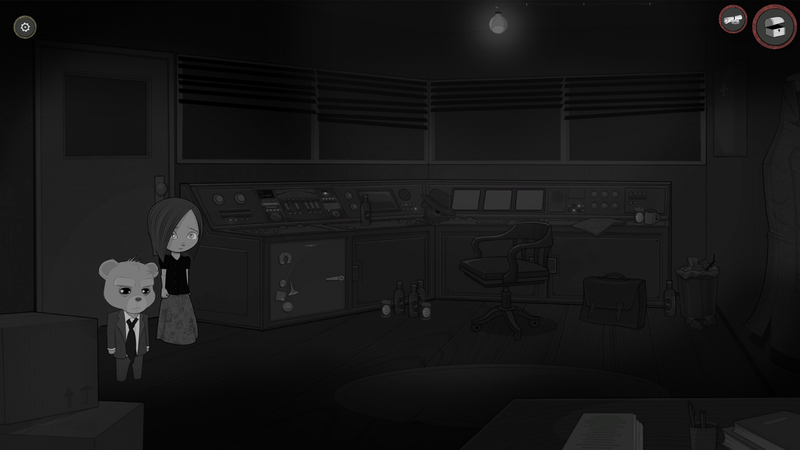 As the game is only coloured in shades of black, white and grey (with rarely seen red for emphasis, it can be at times hard to see things that you have to click, which of course represents 90% of the gameplay. To solve puzzles, players have click on things in various rooms and locations to pick them up, use them, or combine them with something else. It’s frustrating when things are missed because they were difficult to see. The other frustrations are the incredibly slow movement speed of the characters and puzzles that don’t get much more complex than how they were described above. 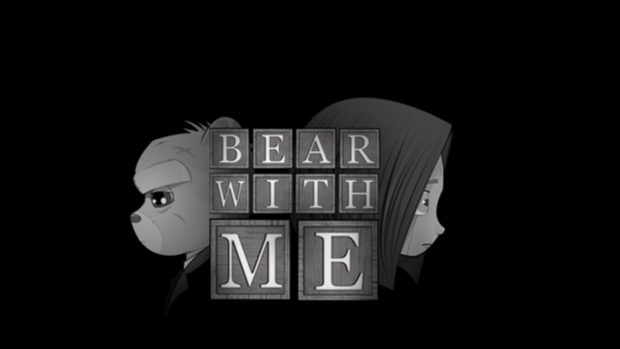 Fans of point and click adventure games and/or noir films should consider giving Bear With Me a go. This game is personally not my cup of tea, but both episodes are fairly short and at a cheap price so consider them! 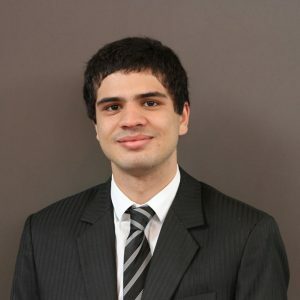 Find out more about the game at its website.